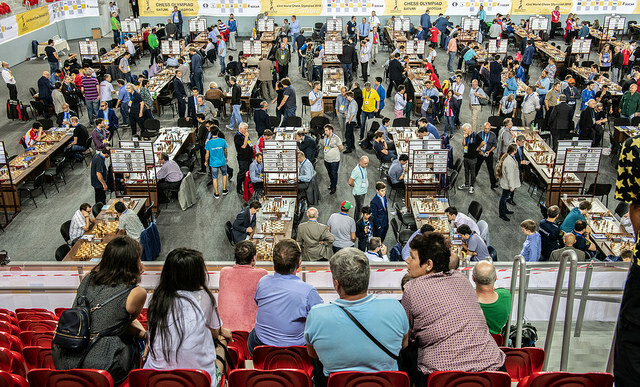 Kacper Piorun was the hero as he beat Hikaru Nakamura while his Polish teammates hung on to hand the USA their first defeat at an Olympiad in four years. That result blows the race for gold medals wide open, with China (who beat Azerbaijan), Armenia (who beat India) and England (who beat Norway) joining the US team just a point behind Poland with two rounds to go. In the women’s section defending champions China took the sole lead with a 3:1 win over Kazakhstan. During the Olympiad if you take out a 1-year chess24 Premium Membership you can get 3 months extra free by entering BATUMI as a voucher code! We keep waiting for Poland to falter, and at first it seemed as though this might be the day. On bottom board Jacek Tomczak spent 17 minutes on move 5 of an Exchange Caro-Kann, and on move 8 he was hit by the kind of move no-one wants to see in a vital match for their team – 8.Ne5! It’s a real queen sacrifice, as after 8…Bxd1 9.Nxc6 Black doesn’t have to give back the queen immediately with 9…bxc6 10.Bxc6+ Qd7 but can instead play on with 9…Qb6!?. That looks no fun for Black at all, though, and after 16 minutes Jacek decided to concede “defeat” and play 8…Bd7, hunkering down for a long defence. It looked doomed to fail, given Shankland’s wonderful technique in previous games, but in the end Tomczak managed to hold on, and it was even the first game to finish. 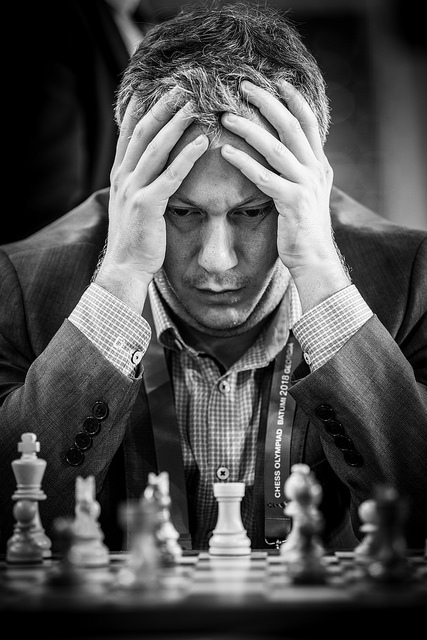 Tomczak, who earlier beat Vladimir Kramnik, has the Polish team’s top rating performance of 2837. 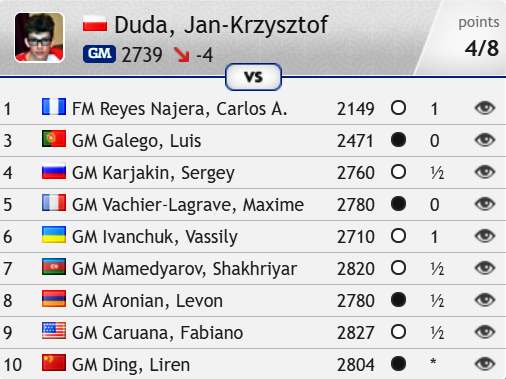 All of the “bottom 3”, expected to be Poland’s weak link before the tournament, are unbeaten, with Kamil Dragun performing at 2753 and Kacper Piorun at 2797! My opponent offered me a draw on move 26, even though you can't offer a draw before move 30. I'm not sure if he didn't know that or he wanted to unsettle me. Tablebases tell us 65…Be4! is mate-in-27 against perfect play. No flesh-and-blood player could be criticised for missing that, though, and after 65…Bg4 66.Rf8+ Kg3 67.h5 Bxh5 Caruana had the famous Rook + Bishop vs. Rook ending that while theoretically drawn is often won in practice. Duda was up to the task, however, and held on for the next nerve-wracking 50 moves to earn a draw and a fantastic victory for his team. Magnus Carlsen can relax as world no. 1! As you can see, it’s not getting any easier, since he faces Ding Liren of China, his 3rd 2800 opponent in four games, next. The world no. 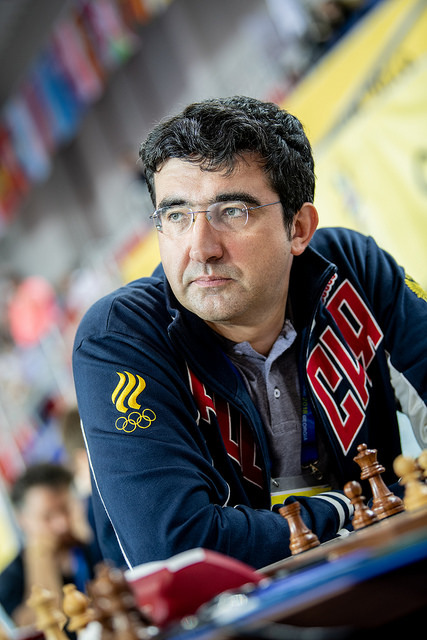 4 looked in danger of losing his 14-month unbeaten streak to Shakhriyar Mamedyarov in Round 9, but he survived and then a win for Bu Xiangzhi over Eltaj Safarli gave China a 2.5:1.5 victory over Azerbaijan. 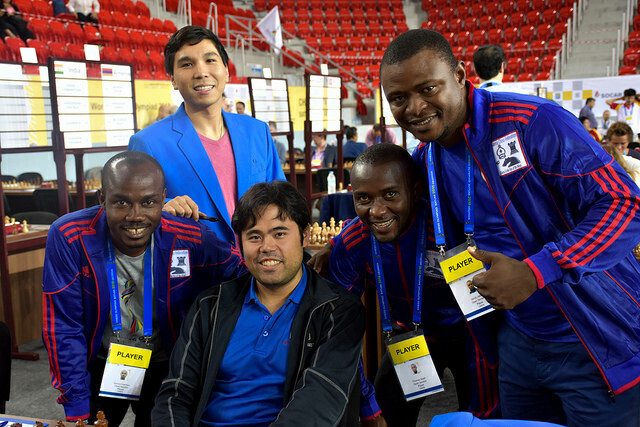 The US team, meanwhile, last tasted defeat at an Olympiad on the final day of Tromso 2014, when Nakamura lost to Mamedyarov. They still have excellent gold medal chances if they can bounce back in their next match against Armenia, who they outrate on all boards despite dropping Nakamura. Armenia are never easy to play at an Olympiad, though, and in Round 9 they overcame the powerful Indian team. Anand-Aronian and the other top boards were drawn, allowing Haik Martirosyan to seal victory with a 4th win in 4 with White to beat Sasikiran on the bottom board. The other team only a point off first place is England, who overpowered the young Norwegian team with wins for David Howell and Gawain Jones on the bottom boards. They’ll face a tough test in the next round against a Russia finally firing on all cylinders again and sensing a chance to salvage a medal from a poor event by winning their last two matches. The other teams two points off the lead are Croatia, who beat Austria 3:1, and Germany and France who played out a 2:2 draw. Liviu-Dieter Nisipeanu shocked Maxime Vachier-Lagrave on top board, but Christian Bauer survived a dangerous attack to go on to beat Rasmus Svane and save the match for France. It’s a curiosity that Germany are now the only team other than Poland to have gone through the open section of the Olympiad unbeaten. 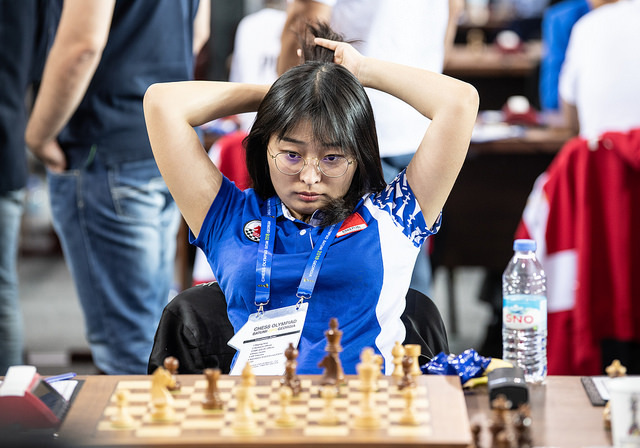 China are the defending champions in the women’s section, but their team this year, without Hou Yifan and Tan Zhongyi, made them only third seeds for the tournament. Nevertheless, they go into the final two rounds as the sole leaders and the only unbeaten women’s team after a 3:1 victory over Kazakhstan in Round 9. 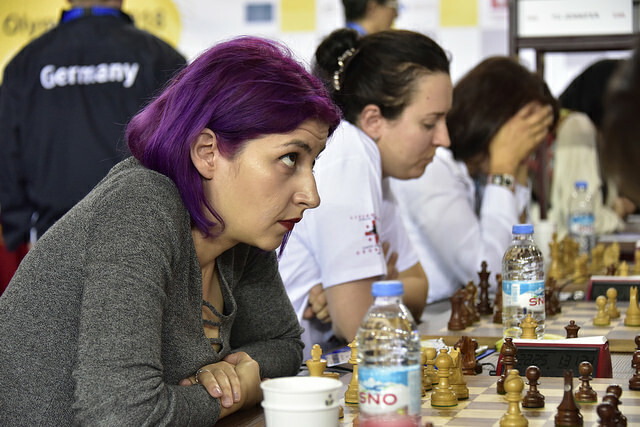 That win was cancelled out by another endgame loss for Anna Ushenina, this time against Gulnar Mammadova.